How do Prepaid Cards Work? Prepaid debit cards work like credit cards when you’re shopping, but there’s one major difference: instead of borrowing money (like you do with a credit card), you’re spending your own money. Before a prepaid, or pay-as-you-go card can be used, you load it with funds so that you can spend those funds over time. To make the most of prepaid cards and to decide if they’re right for you, read on to find out how they work and learn about the pros and cons. Prepaid cards look and feel just like standard credit and debit cards. The plastic cards have a magnetic stripe (and they may also have a smart chip for security), and use the Mastercard or Visa payment network, meaning they closely resemble a typical credit card. To buy something, you use it as you would a credit or debit card: swipe the card if you’re at a retailer or type in your card number if you’re shopping online. Where does the money come from? To spend money with a prepaid card, you first need to “load” the card with money–just like you need to charge up a battery before you can draw energy from it. The card issuer is typically a bank and it opens an account for you, in which you deposit your funds. Once you’ve added funds to your card, you can spend that money and withdraw cash at ATMs. Prepaid cards work differently than credit cards, though, because with a prepaid card you can’t spend money you don’t have. Once you’ve used all of the loaded funds, the card won’t work until you load more (although some cards offer overdraft protection and similar features). In short, prepaid debit, or pay-as-you-go cards require you to deposit your funds up-front, so that the card is pre-funded. The main difference between this and a bank debit card is that you don't need to have a regular bank account to get and use the prepaid card. Credit cards, rather than using your own money, allow you to borrow funds from a bank to pay back later, along with interest charges and possibly fees. Who Benefits From Using a Prepaid Card? While prepaid cards don't make sense for everyone, they still make sense for specific situations and offer users some financial flexibility. If any of the situations below apply to you, you can reap the rewards of using a prepaid card. Poor or no credit history: Anybody can “qualify” to use a prepaid card. Because you’re not borrowing money, the card issuer will not check your credit scores before issuing the card. This is especially appealing to people with less-than-perfect credit, including young people who have not yet built up their credit. Some people even make the choice to live life with no debt (or credit scores). However, some consumers with a history of writing bad checks have reported difficulty with certain card issuers. Budgeting help: If credit cards are a little too tempting, a prepaid card can help you avoid going into debt. If the money is not loaded onto your card, you can’t spend it. Prepaid cards work well for teens and college students, and also make sense for those living on a fixed income or relatives visiting from another country. Whether you use a prepaid card or a bank-issued debit card, make sure to find out if overdraft protection will allow you to overspend–and disable that feature if you don’t want it. Avoid bank account fees: Prepaid cards can work as an alternative to a checking account at a bank or credit union. If you can’t or don't want to open a checking account, a prepaid card allows you to enjoy the convenience of paying with plastic. In some cases, prepaid cards can cost less to use than a bank account. Finally, prepaid cards can provide access to services like online bill pay and mobile check deposit–without the need for a full-fledged bank account (yes, you can live without a bank account). Throwaway account: if you’re concerned about security or privacy, you might be hesitant to use your everyday debit or credit card in certain situations. A prepaid card works well as a throwaway account. Perhaps you’re traveling in an area that is notorious for credit card fraud, or you’re going to make purchases that you’d rather not use your everyday card for; a prepaid card can insulate your “normal” accounts relatively inexpensively. A regular debit card from your local bank is the best alternative unless you have a reason for not wanting to use a regular bank. If you want to avoid bank fees, many online banks offer checking accounts with no fees and no minimum balance. Consumer protection: Prepaid cards do not provide as much protection to consumers as traditional credit and debit cards. For example, what happens if your card number is used fraudulently? What happens if your card issuer goes belly-up (your funds might not be insured by the FDIC). Consumer protection is improving, and many card issuers voluntarily provide benefits, but some cards offer much more than others. Fees, fees, fees: Although things are improving, prepaid cards are notorious for high fees and confusing fee schedules. In the past, the only time it made sense to use a prepaid account was if you could not open an account at a bank or credit union. Fees have come down, but you need to research the potential charges and think about how you’ll use a card before opening an account. You might have to pay every time you use the card, check your balance, add money, or speak with customer service. Some cards charge monthly maintenance fees as well. For more information, read about Prepaid Cards with No Fees. Building credit: Prepaid cards do not help you build credit. They allow you to spend as if you have a credit card, but your activity is not reported to credit reporting agencies. 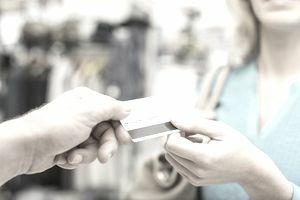 If you need to build credit, consider whether or not a credit card (even if you’ll pay an annual fee) would work any better than a prepaid card. Where are you saving? Prepaid cards make it easy to spend money, but it’s hard to save money (much less earn interest) unless you have an interest-bearing savings account. If paying a few extra bucks in bank fees means you’ll accumulate savings throughout the year–even if it’s just a mental trick to get yourself to save–it’s probably worth the cost. Slippery slope to debt: prepaid cards are supposed to use your money–not a lender's. The idea is that you stop using the card when you're out of money. But some cards encourage you to spend more than you have by allowing overdrafts (with steep fees). If you don't load the card yourself–if you get it as an advance on your tax return, for example–you're effectively borrowing money and paying to do so.